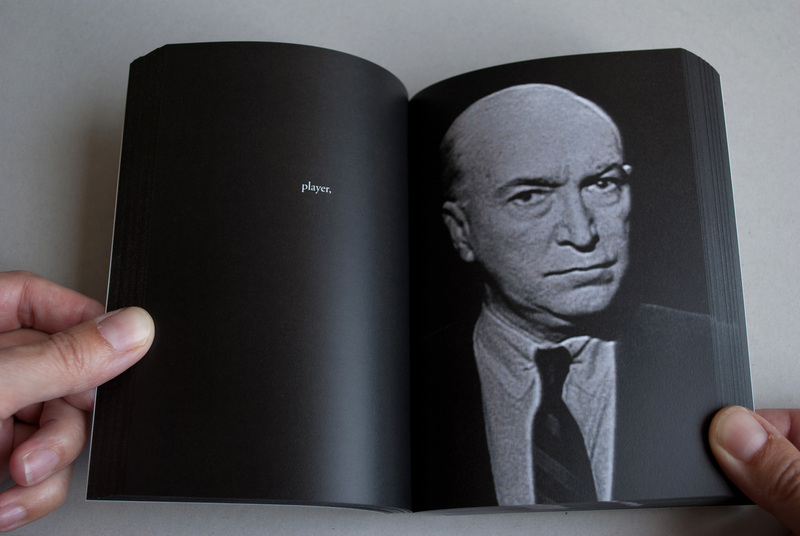 A cinematic book that can be read slowly or as a flipbook. It presents a glimpse of the kingdom that rises from the darkness and goes back into the same darkness. Rise and fall are created through the book’s particular structure, in which the first half is mirrored in the second half. Each spread has a twin except for the one in the middle which shows the person depicted looking at the reader. The book includes text from Macbeth, in the first half of the book going forwards, in the second half backwards. Full color digital printing, sewn paperback, size 10.5 x 15 cm, 352 pages. Edition of 100 numbered copies. Priced at € 40, plus shipping. Order through my webshop or through email. See some more images of the book here. The book is included in the collections of the Bayerische Staatsbibliothek, Bibliothèque Kandinsky (Centre Pompidou), the International Center of Photography Library, Jan Michalski Foundation for Writing and Literature, Kunstbibliothek (Berlin), MACBA (Museu d’Art Contemporani de Barcelona), MoMA Library, National Library of The Netherlands (Koninklijke Bibliotheek), New York Public Library, UWE (Bower Ashton) Library, Zentralinstitut für Kunstgeschichte (Munich).